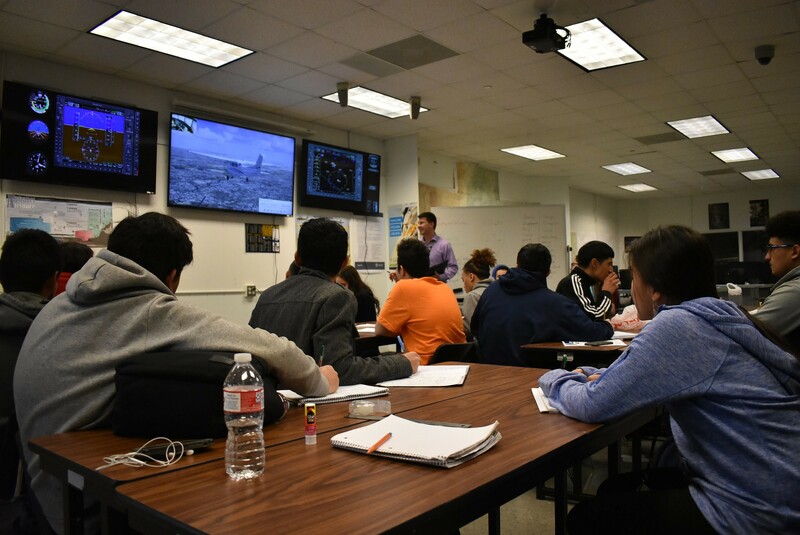 The Irving High School Aviation Science Academy is part of Texas' Career and Technical Education (CTE) program. Now in its fifth year, the academy prepares students to enter the workforce upon graduation from high school. While many schools offer similar programs, the scope of Irving's program is unique. Students at the academy study in one of four aviation areas: management, flight, aerospace engineering, or aviation maintenance. Tony Lech is Aviation Coordinator at Irving High School's Aviation Academy (@IrvingAviation). For more on the program, we connected with Tony to talk technology, partnerships, and student achievements. Tell us something cool about your students. Recently, students in the Irving High School Aviation Academy competed in the Real World Design Challenge, a state and national competition where high school students design and build a UAS to complete a survey and crop spraying mission. The students are presented with 2 existing commercial drones as a benchmark and challenged to make a better solution. 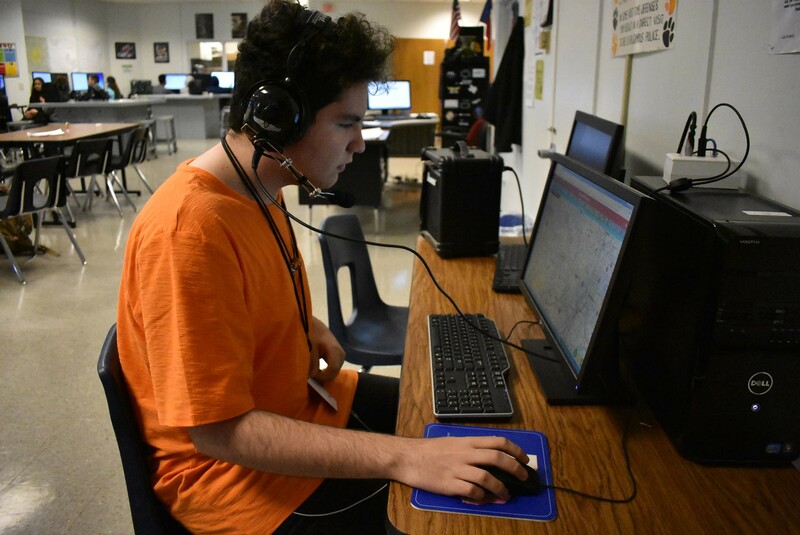 Using CAD and flight software, the students were able to model and perform test flights with their design, and correlate flight characteristics they learned in the Redbird LD flight simulator to tweak their prototype. They won the Texas challenge and are headed to Washington D.C. in April to compete at the national level! 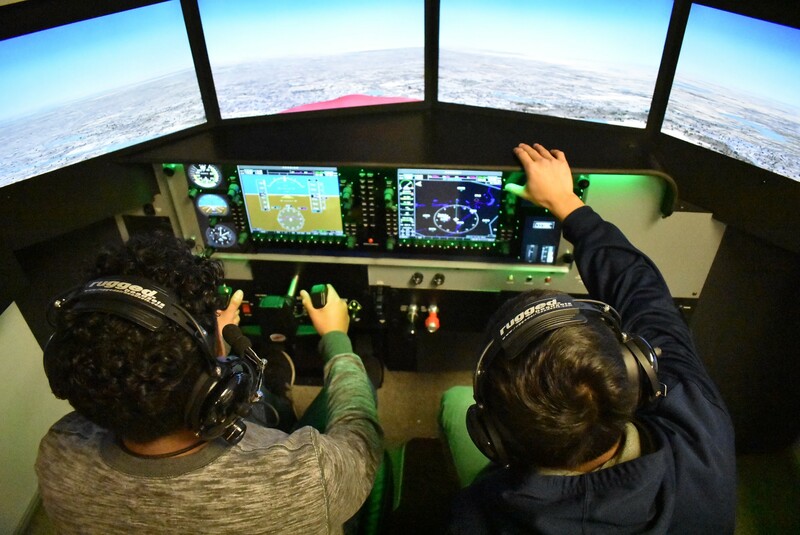 Traditionally, flight instruction is 1:1, and it is difficult to engage a class of 25-30 students with a single instructor and flight simulator. However, we have set up our classroom to allow all students to participate in every flight. Televisions at the front of the classroom, paired with a PA system connected to the simulator headsets, allow students to see the instruments and airplane, as well as communicate with the pilots in real time. Using a tablet and the new Redbird Navigator system, I can walk around the classroom, interact with students while we monitor and critique the flight in progress, and change conditions in flight all at the same time. How have aviation subjects impacted your students' education? “Wow, I’m using Calculus!” is not usually an exclamation of excitement, but students designing a hybrid drone for crop surveying/spraying had a chance to apply complex math in a real-world scenario. When students see math and science are applied in a real-world application it changes their perspective. If you’ve ever heard, “when am I going to use this?” in your classroom, then aviation will probably have an answer. Students apply the quadratic formula, trigonometry, and more in aviation, and actually enjoy doing it! Students learn about all types of aircraft beyond airplanes and helicopters, including hot air balloons, rockets, and UAS’s. Beginning in 9th grade, students are exposed to the physics of rockets, launch time calculations, and pressure requirements for launch. Additionally, they explore the ideal gas law and how temperature and density affect the performance of aircraft. 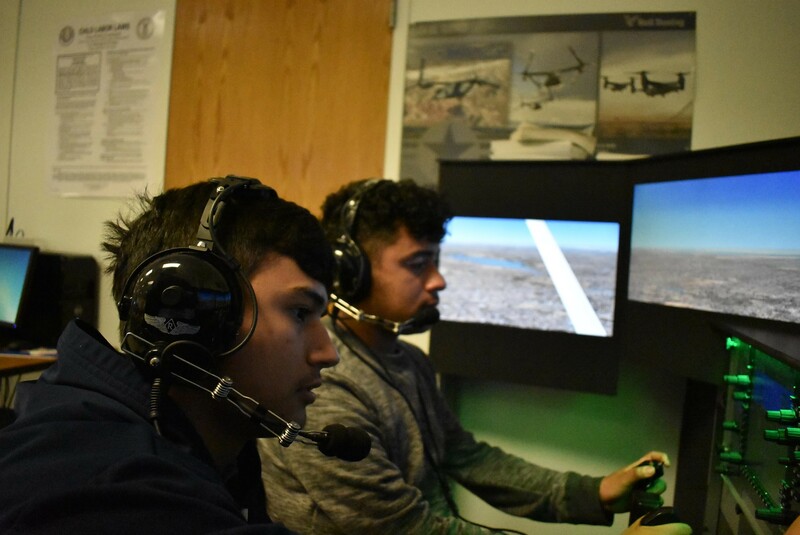 Junior and senior students in the "flight track" use the LD simulator to perform private pilot maneuvers as well as navigation and instrument flight introductions. For navigation planning and longer flights, a computer lab lets larger groups of students all plan and fly at the same time. Airspace has been a big challenge when flying drones outdoors. We had to get the appropriate FAA waivers because we are in Class B airspace near DFW airport. Once we worked out the details with the FAA, which was very helpful and understanding, we were able to clear an area of our school for UAS training. Does the academy partner with other organizations? Part of student preparation includes building relationships with local industry partners and conducting site visits throughout the school year. The more students can conduct hands-on activities and engage directly with potential employers, the better equipped they will be to enter the workforce upon graduation. Colleges and Technical Schools like Spartan College and the Aviation Institute of Maintenance have supported our program for years, and they've helped students to see pathway options after graduation. We run an advisory board that includes business partners like Onpoynt Aerial Solutions, which provides UAS resources and training to instructors and students. Our police department and local hospital employ drones and helicopters as well, providing opportunities for students to see real-world applications in their hometown. Any advice for others interested in starting a program? If you are interested in aviation, regardless of track, I encourage schools to reach out to local airports and other schools with programs for ideas. We regularly host schools from all over the country to view our program. Anyone in the aviation world is probably very passionate about what they do, and will be more than happy to share their love of flight. Tony Lech is Aviation Coordinator at Irving High School's Aviation Academy, where he is responsible for writing and teaching its curriculum. For 10 years prior, he served as an Apache Pilot in the US Army. Tony wrote training guides for the Apache and, during several deployments, acted in communications leadership roles and as Chief Tactical Operations Officer.